Spring is in the air. Birds are singing, animals are frolicking, and even in this time of growth and renewal, there is always loss. Our lives are made up of a number of transitions. We are born and transition to life outside of the womb where we learn to communicate with others, to walk, to run, and eventually to grow. We all experience the transitions from childhood to adolescence, to adulthood, and eventually even to death. During those stages in our lives, a number of things change. Some we can control, others we can't. And with every door that closes, there is another that is opened. However, sometimes the closing of that initial door is harder than others. At times we may never notice it closing, at other times it slams shut so forcibly that we are startled, and sometimes we have a hard time recovering from the shock we are given when the door is closed unexpectedly. I'm going to step out of the realm of metaphors for a moment and talk to you about loss and grief. 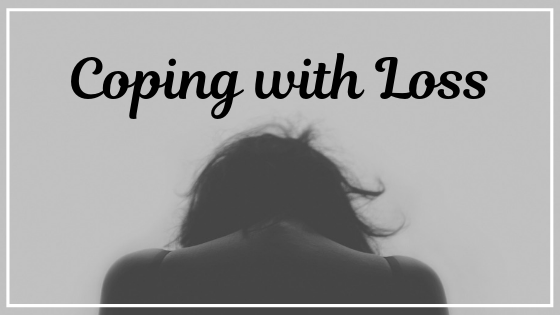 Grief is a process we go through whenever loss is experienced. Grief is most well known when death is involved, but it's not just a process that deals with death. You can grieve the loss of just about anything in your life, and grief is often experienced in times of transition. The loss of a job, the ending of a relationship, even moving from one place to another can trigger feelings of loss and the process of grief. There are even happy moments in our lives that may cause sadness and grief. It's a wonderful and magical time when a child is born, but the mother may feel a major loss in the process, after all she was just carrying that child inside her own womb and caring for it in a way that no one else on earth will ever experience. So even though the child is now out and able to grow and interact with the world at large, the mother may need to grieve for the loss of that intimacy with her child that she will never again have. It's perfectly normal to deal with feelings of grief and loss multiple times throughout your life. But what are those feelings and how do we deal with them? This is the stage where you may say things such as “this isn't happening” or “this can't be happening.” This is a normal defense mechanism that allows us to move through the initial wave of pain. For most people, this is the immediate response and can be likened to a kind of shock. Usually, people move through the stage of denial and into anger. This anger may be directed at ourselves in the form of guilt. Or it may be directed at others, or even inanimate objects or complete strangers. In our anger, we assign blame, or feel resentment. We may even resent the person who we lost for leaving, even if it was not their fault. In this stage, we often use “if only” statements, and we think of all the things we could have done differently to affect a different outcome. We often secretly make a deal with God, attempting to hold off the inevitable or to negate it all together. This is another stage accompanied by guilt. This guilt is often directed towards ourselves and our lack of ability to save our loved one or change the situation. 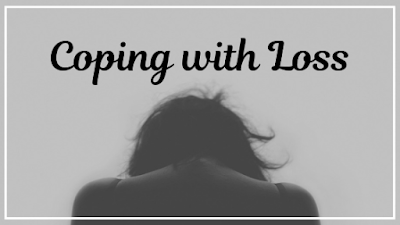 Typically, there are two types of depression that come with grief. The first one is a more practical reaction, worrying about the cost of a funeral or divorce or even worrying that you're neglecting other loved ones while you're dealing with your current loss. This type of depression is usually alleviated with a little reassurance and some clarification. However, the second type of depression is typically more subtle and more personal. It's our own preparation to say goodbye, readying ourselves to start our new lives. Not everyone reaches this stage. Most of us have a hard time getting over our anger, or moving past denial. This stage is a stage of sadness and withdrawal, but often allows us to make peace with our situation. This is where you accept that you will feel sad, but will be able to move on and continue to live your life without guilt. These stages do not necessarily occur in order, and a number of people will revisit a few of these stages years down the road, or off and on throughout their life. However, it's important to understand that we all experience at least a few of these stages of grief when we feel a loss, or experience a transition. It's important to allow yourself to experience these stages. To move through them and to feel them. Some time ago I posted a guide to accepting the negative emotions in your life, this may help you to understand that these feeling are perfectly normal and healthy. If you are having problems feeling your grief and dealing with your loss, seek help. There are a number of amazing counselors out there that are trained to help you move through these emotions. There are also herbs that can help you to feel comfort, though just the act of making a simple tea can be a comfort in and of itself. Grief and loss is often referred to as heartache or heartbreak. Herbs that are gentile and beneficial to the cardiovascular system can often have a beneficial effect on our hearts in times of grief as well. Some herbs are also known to soothe our nerves, which can also help comfort us through grief. Herbs that are most well known to help during times of loss include Rose, Violet, Motherwort, and Linden. If you are dealing with anger, you may want to look into Lavender or Chamomile to help calm you down, both of these herbs work well in a tea or you can use their essential oils and diffuse their scent throughout your home. Citrus is known to lift the spirit and can be beneficial during times of depression when dealing with loss. Orange, Lime, Lemon, or Grapefruit make beautifully cheerful teas and the smell of them can often be enough to lift you out of a depressed state. There are also flower essences that can help you move through the process of grief. Reach out if you feel you need help. I hope I have provided a little help and support for your time of loss. If you have any questions or comments please leave them below. Easing Grief with Bach Flower Remedies: Aldaron Essences: https://www.aldaronessences.com/easing-grief-bach-flower-remedies#!